Who doesn’t like food? Here at Kveller, we love to eat. So when we plan a party, our parties are basically excuses to eat awesomely delicious foods (like latkes!) with people we love. Hanukkah is just around the corner (it’s this Sunday, December 6th), and we’re panicking a little. But not too much, because we rounded up five foods that are delicious, easy to make, and fast (because we know you have other things to do, like get your kids dressed). 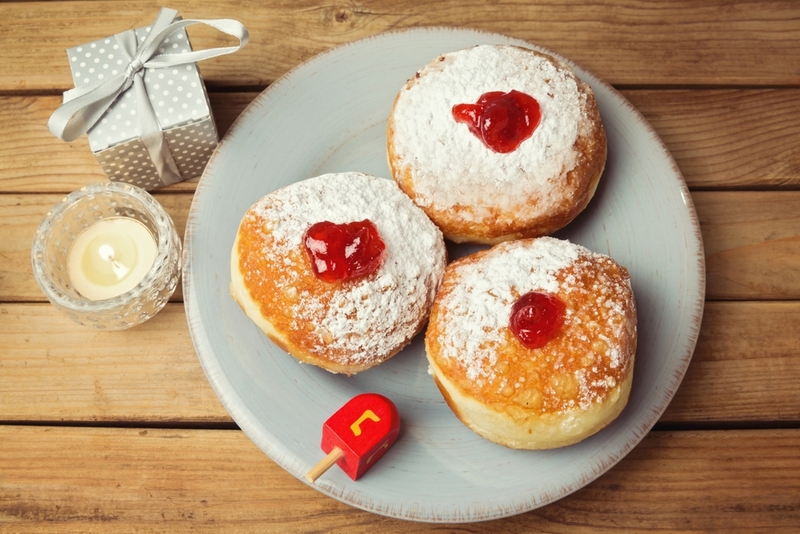 READ: How Do I Make Hanukkah Fun Without Forgetting the Meaning? 1. Latkes are an absolute must. Don’t want to do all the frying? Trader Joe’s and Whole Foods both sell pre-made versions. Serve simply with applesauce (and sour cream) or get fancy and put out an array of toppings that could include smoked salmon, hot pastrami and mustard, Israeli salad, mango chutney, or even guacamole and salsa. 2. Big batch cocktails make serving up booze super easy, like this hot mulled wine or Manischewitz sangria. Also, it makes dealing with your kids almost tolerable. 3. You need to serve something other than latkes, like brisket (which you can make ahead or even throw in your crockpot) to serve alongside the latkes; a big batch of soup like this crockpot beef barley mushrooom soup; or a quiche like this butternut squash, spinach and gruyere version. You can always make soup, brisket, or quiche 1-2 days ahead of time, and re-heat right before your guests arrive. Plus, even kids like things like brisket, quiche, and soup. 4. Donuts. Whether it’s Dunkin Donuts munchkins, store-bought sufganiyot, or some homemade peanut butter and jelly sufganiyot, you are gonna want to have something sweet and fried on hand. It’s practically a mitzvah.